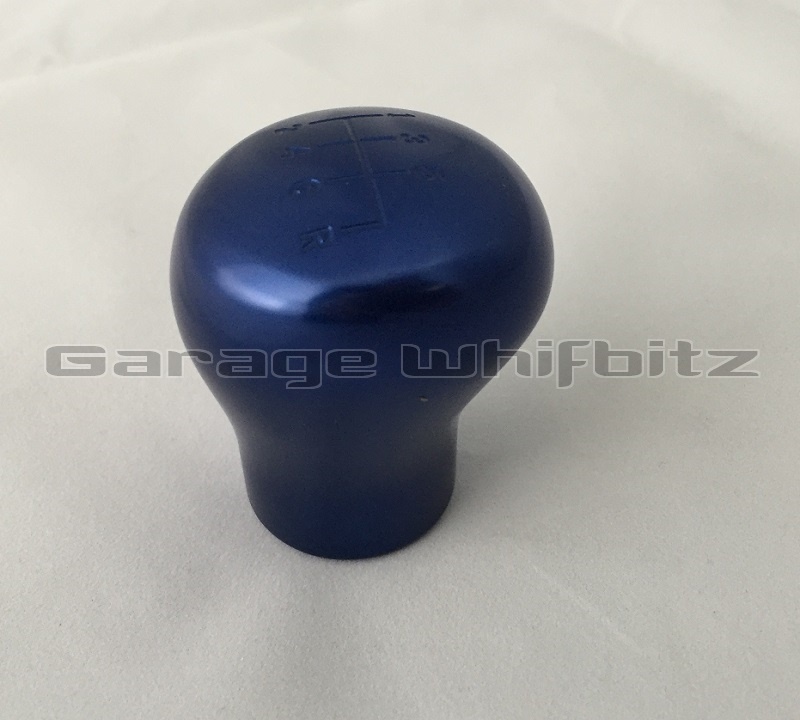 Garage Whifbitz 6 Speed Billet Aluminium Gear Knob anodised blue. 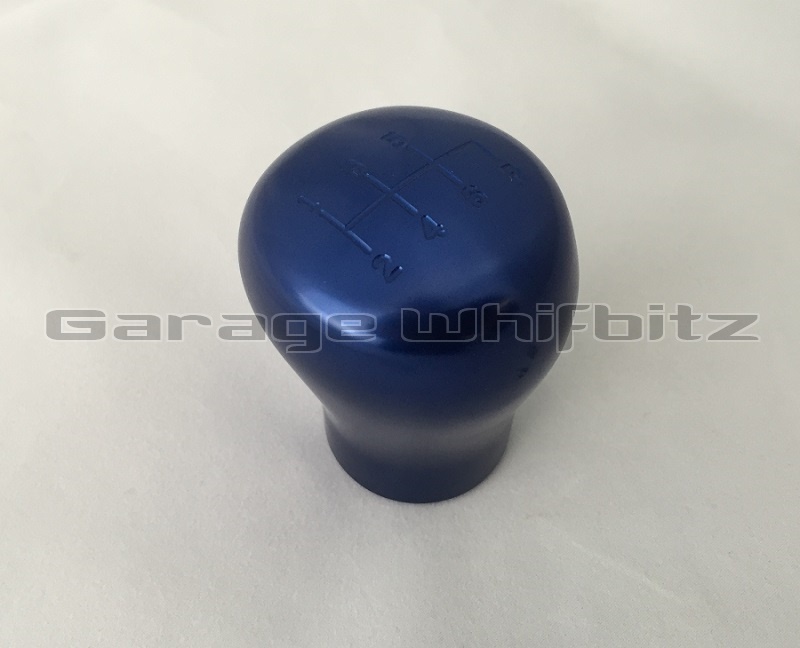 The billet aluminium gearknob is machined from the highest quality Aerospace grade L197 aluminium alloy making it lighter than the standard leather item. 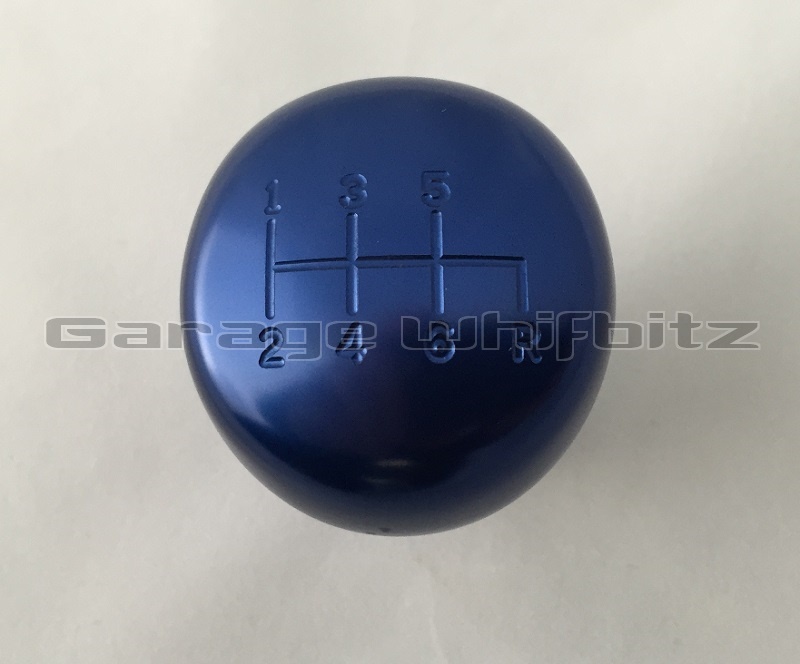 This billet gearknob is made to fit the Supra, shaped like the standard gear knob for a great feel in your hand, this isn't a universal cheap knob that you can buy elsewhere. 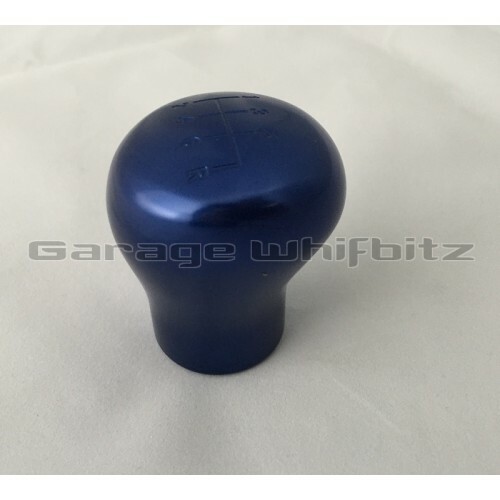 As far as we know this is the only Supra specific gear knob available anywhere in the world. As you can see from the pictures it looks superb giving your car that little edge. Another top quality product from our already huge product range for the Supra.